Very happy with your service. Please note that my last name is Patnaude not Tatnaude. Terminix stand behind there work and always has a plan to fit your budget. Respectful and hard workers. Salesman was great and had terrific followup. Service people were friendly and neat and very respectful. Technician that came to service was thorough and professional. I'm very happy with the services from Terminix. The workers Terminix sent to my house to do the job, was very respectful and patience they answered any questions I ask are didn't understand. Mike Gregory is a blessing to work with he not only explain everything but, he was sure that I understood every process of the job I was hiring "Terminix" to do. He made sure I could contact him at any time just in case I had any concerns at a later time before the job was complete. Very good progress on the house not seeing as much roaches as before but only had 2 treatments so fare but the worker act's like he doesn't want to do his job kinda rude. I was very satisfied with the service Terminix provided. The inspector and the two young men who came to the house were very professional. YALL ARE SIMPLY THE BEST OF THE BEST, THANKS A MILLION!!!!! Very good company and great service! The technicians are friendly and so is the office staff! Great service with friendly staff. I had a "One Shot" contract have your company to exterminate a bumble bee nest under a feed trough in my cow pasture. The exterminator came within three days of the contract signing and satisfactorily exterminated the bumble bees. He was both a gentleman and a true professional. Service was provided when promised. Technicians explained everything that would be done. Work was done very professionally and with minimal disturbance to plants and flowers. Very pleased with the entire process. 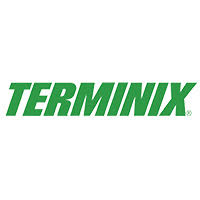 Would recommend Terminix to any one needing pest control services! The service guy was very professional and knew exactly what to do. Terminix has provided my home great service. They arrive when they say they will and are flexible in scheduling appointments. They will return during the quarter if "bugs" are troubling you. Nice representatives and phone personnel. as usual, terminix techs were friendly, professional in the job, and answered any questions i had. I am well pleased with the service I receive. Especialy the Tec.that comes he always ask has you had any problems. If you had he will correct IT. Excellent service. Technician courtesy the best. Knowledgeable. I have not had any more problems since the treatment we received. return if requested between scheduled treatments. They did a great job very friendly. Now who do I pay. Waiting for him to come back and treat the yard. It would have been 5 stars if we didn't see any bugs, but we still see some occasionally. Timely service. Will let you know results from spraying wood under house in a few weeks. Very nice, sprayed everywhere I asked. Liked last service man. Please forgive that his name escapes me. I have had so many new ones. It is stressful. Would like to continue to have him when he is scheduled for this area. He was unable to do outside due to strong rain but said he would come back and that you would schedule this. Have not heard from anyone as yet. I have been very sick this past year and need service and a person I can count on. Tech kept his appointment time and was friendly and explained what he was doing! Techs always on time and pleasant. The phone reps are professional. The technician is very knowledgeable and explains everything well. The customer service members who answer the phone for new and existing customers need some training on how to speak with customers in a friendly and respectful way. I am pleased with the service I received.Everyone is so nice and professional. We had them spray inside & out the first visit. Never again inside...too many concerns for our health & our animals. But they have sprayed quarterly outside and we only ever see an occasional spider inside(maybe a couple a year.) When we first moved in, it was as if all the outside bugs had moved into our home. Now we only see them outside our four walls thankfully! We cannot ask for better service. The service tech is very professional as well as friendly. I am Happy, I still notice some ant piles outside yesterday. Other than that right now satisfied.